I love both of these things I bought! 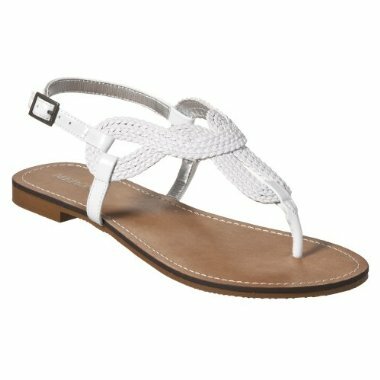 They are perfect for summer. 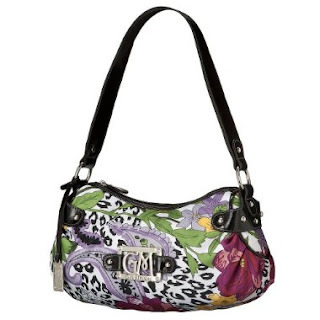 I love the fun, flowery print of the purse and the sandals are comfortable. I won't have to worry about tripping or slipping out of them, which is a plus! I had a good weekend! Besides getting my hair done and going to Target (which would have made anyone happy, am I right? ), the next day was my future SIL, Sarahs' bridal shower. It went really well and it was fun to see so many familiar faces! The wedding day is coming up fast! April 29th! That night I met up with a couple of girlfriends (one of which is also pregnant with baby #1 and due only two days before me!) and went to In N Out. I almost tried the animal fries but chickened out. Has anyone else tried them? On Sunday Michael I went to church (which was really good this week, btw) and then spent the entire day watching this show that I am ashamed of. It's nerdy, we'll leave it at that. I'm 18 weeks today and the baby is about 5 1/2 inches long. Wowzas! Look at the baby thing on the right side of my blog. It's so cute and now it's plumping up! I haven't felt the baby move yet as far as I know. Hopefully soon! Love the shoes! I'm sure as you get further along in your pregnancy, they'll come in handy for being so comfy! Cute sandals! I need a pair! That bag is awesome. Congrats on welcoming a new little one - its all fun. Hey, your nerdy show couldn't possibly be worse than my entire nerdy post i just did. Also, I miss target terribly and think about it almost daily - pathetic, I know. I got those sandals in gold. I love them. I really want them in more colors, but I don't need them in more colors.